QikGIF! - Modern Photobooth Activation. QikGIF! is an amazingly simple photo experience for any event or brand activation. It’s simple, fresh, and quick. Partygoers get their creative photos instantly via text or email and they're ready to go social in seconds. Tap the screen. Shoot your photos. Send the GIF to your mobile device. What’s the difference between QikGIF! and GIFBooth? The GIFBooth is studio style with a DSLR camera and premium beauty dish lighting. The QikGIF! is social style: activate anywhere and photo anything! Does it integrate with Instagram? Yes, QikGIF! can send an Instagram-ready picture text message to a phone number. How does the sharing work? We text and email the GIFs to the guests’ mobile device. It’s simple and it’s what people want. What does the setup look like? Simple, elegant, premium. Here’s a photo of the setup. No, this is all digital and it’s all mindblowing! 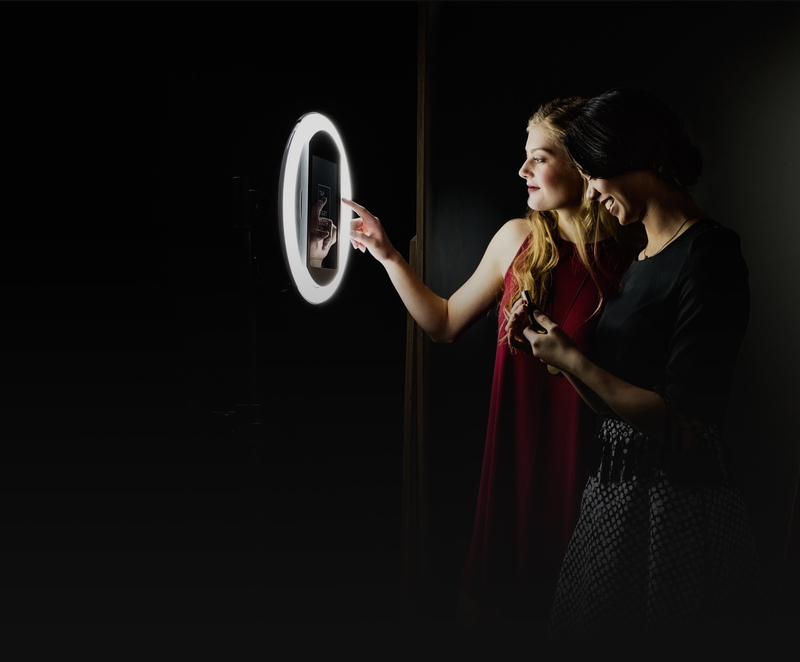 Yes, it’s a premium LED ring light so everyone will look amazing. No, check out our GIFBooth for that option. We make it simple to hire us! All of our packages include free wifi, props and email collection. Select a package below and get a quote.